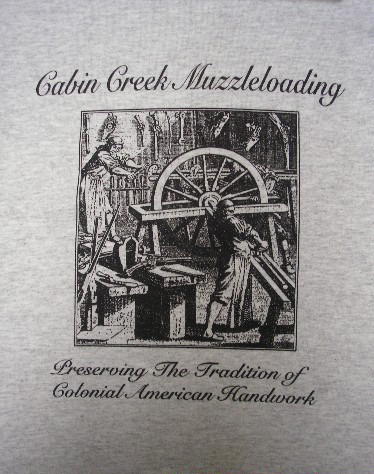 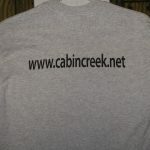 The Cabin Creek Muzzleloading T-Shirt is a high quality heavyweight blend short sleeve shirt. 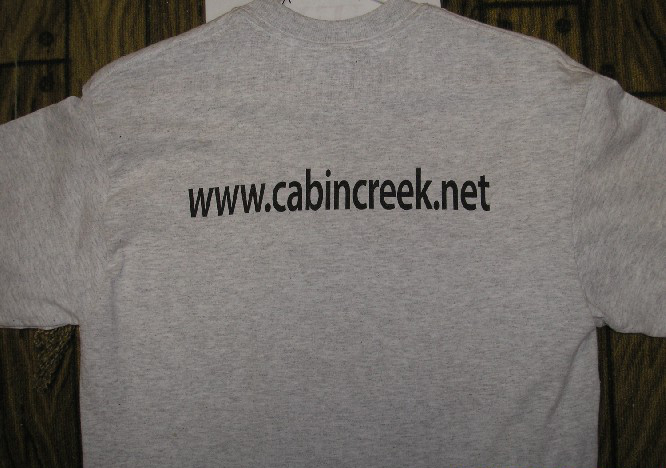 The front displays a Black graphic of an 18th Century Gunsmithing shop on a Grey backround. 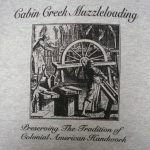 “Preserving the Tradition of Colonial American Handwork” is printed below the graphic.